It might seem obvious—or go without saying—that good photography and videography are critical for your success as a real estate professional. As time goes on and equipment and tools become better and more sophisticated, online platforms become more robust. Augmented reality (AR) and virtual reality (VR) have expanded into the industry. Skills with visual tools will only become increasingly important over time. Eighty-nine percent of homebuyers who searched for a home on the internet found photos to be among the most useful features of REALTOR® websites, according to the 2017 NAR Profile of Home Buyers & Sellers. Digital photography and virtual tours allow REALTORS® to serve their clients like never before. Digital images can quickly and professionally showcase a listing, and today’s technologically-savvy clients appreciate the convenience of a virtual tour for both long distance and local moves. A Photo Sells a Thousand Homes will help you attract buyers to homes, identify the right photos you should take of every home and understand exactly how to compose the best photos. How Do I Make My Photos Look Like That? will show you how to leverage the technology available to make photos look more professional. Learn about the software and editing capabilities available at minimal price. 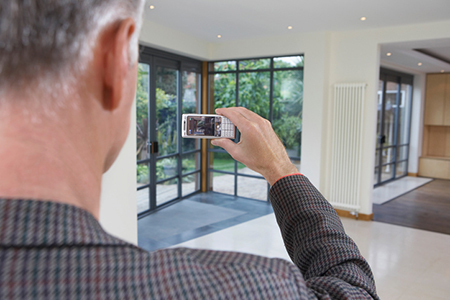 Video Marketing to Enhance Your Business demonstrates video marketing strategies that are crucial for reaching today’s house hunters. Connect with consumers in a fast-paced digital world by setting yourself apart and grabbing their attention instantly. To obtain these and other great online courses at a fantastic discount, check out our featured products this month at the Center for REALTOR® Development, RRC’s online courses and bundles, which offer a wide variety of educational products that lead to their Certified Residential Specialist (CRS) designation and are all on sale this entire month of June at 25% off.